This question comes up every week without fail. The answer is a resounding, absolute, definite : YES! There is a global shortage of GOOD SharePoint skills of all kinds. There is so much scope with this product that just about any business and technical skills can be applied and used effectively. None of what you have been doing up to this point is a waste. It all just prepares you for future challenges you decide to try. When it comes to technology, it is never too late. It changes so fast and so often that just about everyone is constantly playing catch-up. Look at Architect, IT Pro, Developer, Search Specialist, Technical Trainer, Helpdesk Support. Architects design the topology and scalability of the farm, (amongst many other things). IT Pros work on the servers; installing, configuring, maintaining them. Developers write code to automate business processes, build web parts, etc. Search Specialists architect the search services to make you can retrieve stuff, (and without search, SharePoint is pretty much useless). Technical trainers help you improve your skills in any of these other specialisations. Helpdesks are needed in every implementation, some queries require technical troubleshooting. Branders make sites look pretty without messing up other functionality. Make sure you understand how SharePoint fits together technically though, or you might end up breaking 6 other things for the sake of a pretty picture. SharePoint Project Managers and Platform Owners are crucial for the success of an implementation. You need a good understanding of what SharePoint can give you out of box so you can manage scope and requirements. Site Owners who are willing to take ownership of their content and manage their sites properly are in demand! As SharePoint reaches further and further into business, the Site Owners become more and more important. Site Collection Administrators need to be properly trained and empowered but can make all the difference to the overall adoption rate and use of best practices in managing content. A SharePoint Evangelist is the magic ingredient to a truly successful SharePoint adoption plan. You will spend all day every day talking to business and IT people and help them join the dots and expand their knowledge and network. An End User Trainer needs good people skills and understands business. A Social Media Specialist can take the company into the future. Become a Community Team Lead, join a user group or start your own one. It’s all about community after all. 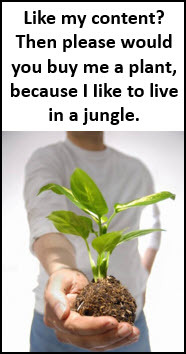 It’s your chance to give back. User Adoption Specialists are as rare as hen’s teeth. SharePoint is not about technology, it’s about people. If you understand this, then maybe User Adoption Specialisation is for you. Got admin / analytical flair? Are you super organised? Maybe taxonomy is something you’ll be good at. All companies battle with figuring out what metadata to use, when and where. Analysing file shares so you can convert subfolders into metadata is a much sort after skill in business units, learn this and never be bored again. Business Analysts are invaluable in documenting processes that can be built on SharePoint. Get really good at what you do and you could end up on the speaker circuit and travel the world in the process. Stay abreast of PowerPoint best practices and speaking skills if you want to be invited back. These aren’t the only things you can do, there are plenty other opportunities open to you. Do some research, figure out what SharePoint can do, decide what blows your hair back, and just go for it. SharePoint offers many ways to re-invent yourself. You don’t have to leave your company to do that. In most large organisations there are plenty of opportunities available – you just need to drive it and want it enough. Stop making excuses and change your stars. Be aware that you can’t be all things to all people. Find your niche and excel in it. Build a network that can support you on things you are not strong in. Find a mentor and learn from them if you don’t have access to good trainers in your area. 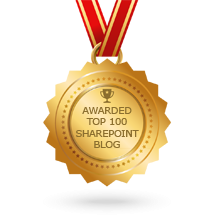 There are hundreds of unbelievably kind SharePoint specialists around the world that are constantly online that could help you. Need to know how to become some of these people? Check out the I Wanna Be section on IW. Or download examples of job descriptions on Lets Collaborate so you can motivate for that position. Keep an eye out for an upcoming book on SharePoint careers by Shadeed Eleazer. See also Michael Pisarek’s post on SharePoint Business Architects. Style packaging is also very fine, very fond of, SF Express also to the force. Satisfaction. You certainly don’t need developer skills to get into SharePoint. You should look at the IT Pro skills track if you want to maintain SharePoint servers. @Thuan, there are certainly hybrid roles around. Especially in smaller companies. Glad you found it useful. There are a lot of diversified roles ;-). I’m wondering the roles that I’m having now. Maybe I have hybrid roles. I can have some knowledge business skills (financial, marketing, strategy) some ITPro skills (planning, designing and deployment), some Project management skills (planning, controlling project), some user adoption skills, some processes…To be honest, I’m not SharePoint admin, Dev as well as Business. I’m a tramp who is roaming inside SharePoint maze. Thank for your sharing the great post.